Sherri Berger originally began her career in acting and voice overs in Kansas City. Now, with technology affording talent to live most anywhere and work, Sherri decided after 35 years in Chicago, it was time to discover her inner Southern belle and moved to Charleston where she now makes her home. Before voice overs became a full time career, Sherri worked in radio, advertising, and film. At the end of 1985, she took the plunge and became a full-time voice over talent. 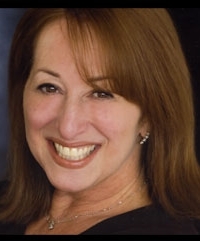 One of the most respected voice over performers in Chicago, Sherri has accumulated a vast list of high profile accounts. Among her national campaigns are: Culligan, Coast Soap, Mr. Clean, McDonalds, Bounty, Mrs. Dash, Rubbermaid, Kelloggs, Kraft Macaroni and Cheese, Bisquick, Sears, Wrigley Gum, Chrysler, Sprint, Hallmark and many more local and regional spots.